• Tyner Elementary has 40 homeless students. These statistics made everyone pause and shake their heads. The goal of the REaCH group is to raise $1,500 to build an “Emergency Shelter” that would prevent someone from sleeping outside in harsh elements. This temporary, emergency homeless shelter would have a 4 Bed Occupancy (2 sets of bunk beds) and be stocked with tote of non-perishable food and water. As of now the plan does not include having electricity in the shelter and it would utilize Kerosene /Propane Heat. The goal is to provide a “temporary” shelter to accommodate a homeless person until a more permanent solution could be found. It is anticipated that the stay would last only a week or less while the individual(s) and county officials find a more permanent solution for them. REaCH proposed that the shelter would be sustained through school food drives along with supplemental Church/ Community Involvement. The first emergency shelter would be located on McCammon Ridge Road near the EMS and across the road from the Cabinet for Community Based Services. This should also facilitate getting help from the state services available without requiring a vehicle to travel to this facility. The REaCH group also has a “Big Picture” in mind that would see an Emergency Shelter built in other parts of our county. 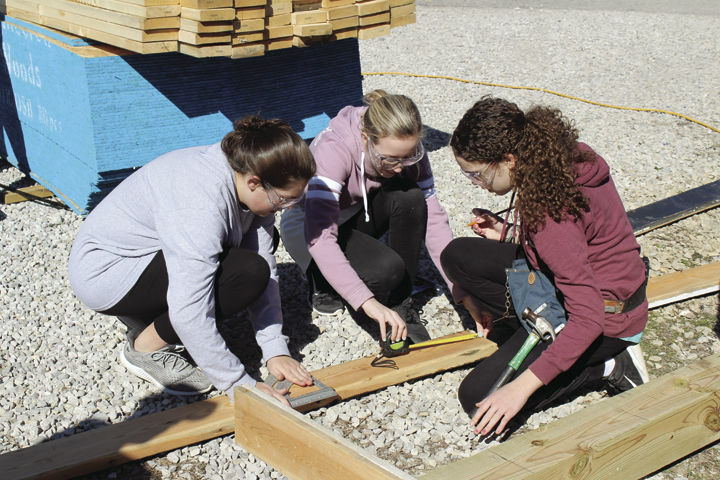 Specifically, there are plans to locate a donated camper on the property of Grace Ministries in Annville and also eventually get one constructed in Sand Gap. Grace Ministries said they would donate building materials to the project and also provide the spot for a camper on the campus. Their goal is to begin construction on March 23rd, 2019 was met. The project completion date is scheduled for April 13th, 2019. Did you meet your fundraiser goals? “We exceeded our initial fundraising goal, which was $1500, that would have successfully built one emergency shelter. The group shattered expectations and was able to raise $3,000!! We are ecstatic to announce that we will be building 2 emergency warming shelters for Jackson County!! One will be located in McKee, the second will be in Sand Gap, and a third will be a camper, donated by Shaun and Tracie Hays, which will be set up at Grace Covenant Ministries in Annville. The impact of this project will now be felt throughout Jackson County." Do you still need supplies? help?